Although it's winter, a trip to the beach can still be fun -- it's the perfect time to see winter wildlife around Virginia Beach. From now until March, Rudee Tours (200 Winston Salem Ave., Virginia Beach) is open for wildlife watching during the winter season. Located just off the shores of the Atlantic, this touring boat gets close to Virginia's most majestic creatures near and in the sea. 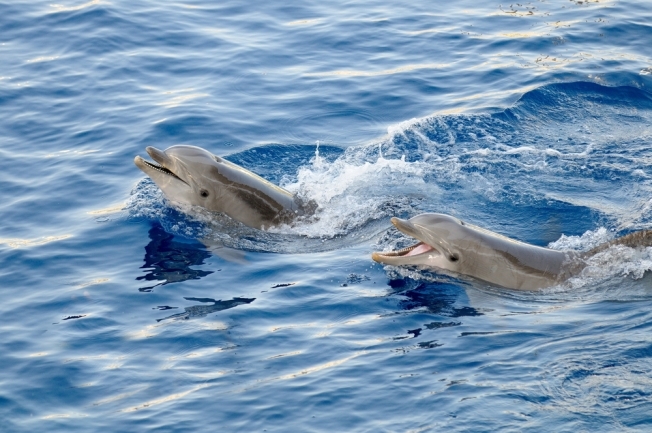 Be prepared to spot whales, dolphins, seals and many bird species off-shore. Most of the tour guides have several years of navigating the Atlantic and know where all the hot spots for wildlife viewing are. This type of boat trip is a great reason to get outdoors and enjoy a different type of winter activity. The tours use boats with heated cabins, bathrooms, snack bars and full bars. But don't forget to wear warm jackets and hats. Hours for winter wildlife tours are 11 a.m. to 2 p.m. on select days through March. While you're in Virginia Beach, it's also a good idea to stop by the aquarium. There you can see even more of the region's -- and beyond -- wildlife including otters, sharks, turtles and seals. The Virginia Aquarium is located at 717 General Booth Blvd. in Virginia Beach. Rudee Tours is located on 5th and Pacific in the Virginia Beach resort area about three and a half hours from downtown D.C.